We are a devoted, professional company committed to providing our client with the highest standards of integrity. Ottawa Quality Paint Finishing Ltd. is truly a business who's future depends on the satisfaction of our customers. We will strive to provide you with the fastest, most efficient service with the highest quality coatings. We come to you with over 10 years of experience and with our skilled employees and specialized equipment we offer you a high quality service. Our mission is to offer you a fast turn-around while giving our customers high quality work, exceptional service and competitive prices. At Ottawa Quality Paint Finishing, we offer a full range of services. 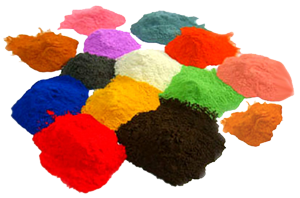 We specialize in conventional, electrostatic and powder coating. We are also designated to handle any range of batches and would be happy to assist you with whatever your needs are. Ottawa Quality Paint Finishing are the expert in Powder Coating and Electrostatic Painting in all of Eastern Ontario and Western Quebec. Ottawa Quality Paint Finishing, the Power Coating and Electrostatic Painting Professionals!